When it comes to top beach destinations in the world, the breathtaking islands of Maldives will pop into our head. However, the island is also synonymous with luxurious and expensive island holidays. 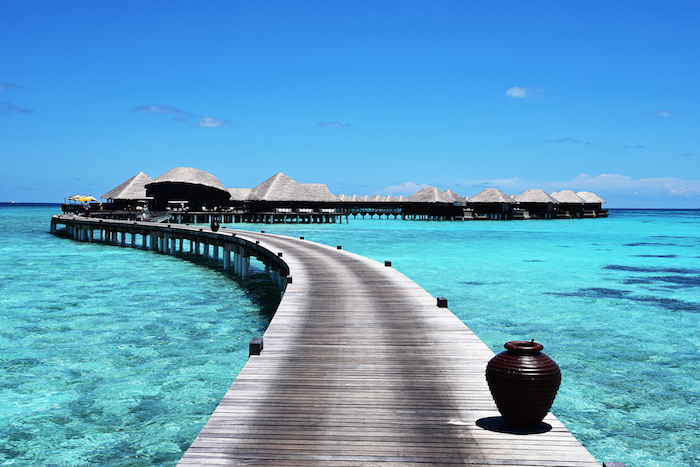 Get ready to fork out a hefty sum of money before going on a trip to the Maldives. But what if we tell you that you do not have to break your bank account to have a Halal holiday in the Maldives? Check out these cheap Maldives packages for Muslim travellers! Having a fun and relaxing Halal holiday in the Maldives with your family or friends do not have to cost you an arm or a leg. 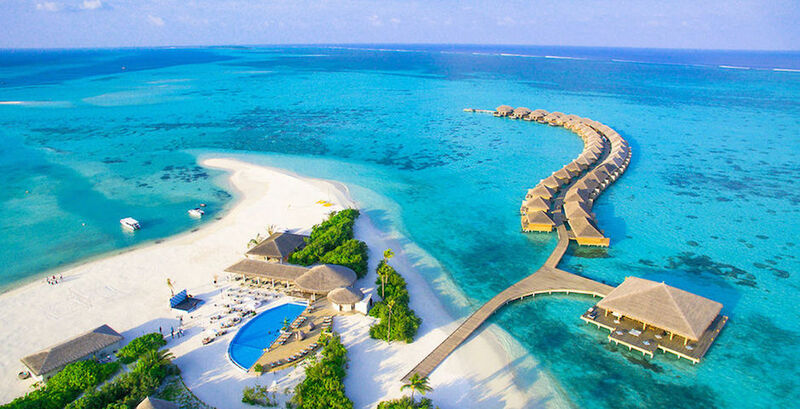 You just need to know which cheap Maldives packages for Muslim travellers that you can grab. Let’s check out our tips below! 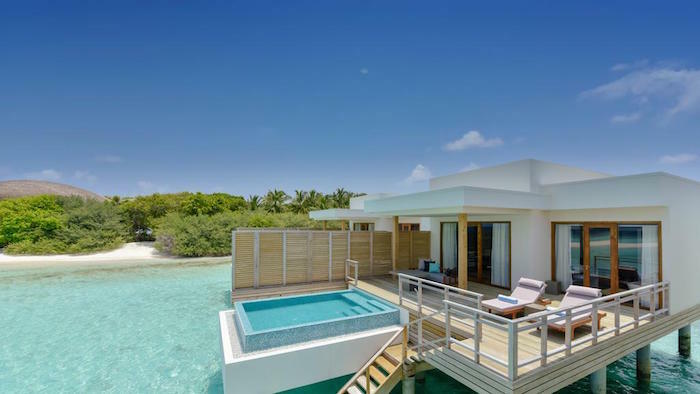 When to visit the Maldives to get the best hotel rates? One of the most effective ways to budget travel in the Maldives is by choosing the right time. November until April is the peak season in the Maldives. During that time, the hotel rates and activity fees can skyrocket. We suggest you go to the Maldives during the low season which is from May to October. You can get cheap travel deals to the Maldives during this time! Most experienced travellers attested that the best and cheapest way to get to the island of Maldives is by having a stopover at one of Southeast Asia’s cities. You can get a cheaper flight ticket if you are to depart from Singapore or Kuala Lumpur and take low-cost airlines such as AirAsia. You can also have a stopover at Dubai or Colombo and choose Scoot or SriLankan Airlines. Grab cheap flight tickets from these destinations now. They offer the lowest prices to date! 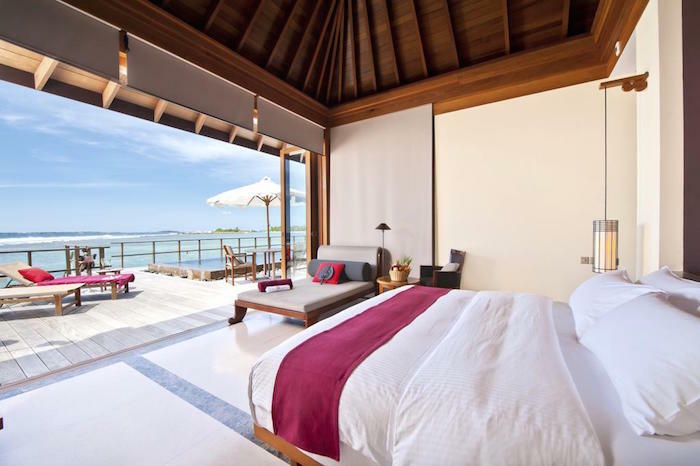 Where to stay in the Maldives for the best bargained deals? Besides knowing when to have a Halal vacation in the Maldives, you should also know which part of the island offers the cheapest deals. The Maldives comprises of about 1,000 islands! If you are on a budget, you should try to avoid staying at a private resort island. Try to stay at one of the local islands instead. If the hotels at the private island can cost you $1000 per night, the hotels on the local islands can be as cheap as $50 or $100 per night. This is ideal for Muslim travellers who would like to enjoy the beauty of the Maldives without overspending your life savings. You do not have to worry about receiving below-par hotel service at the local islands. 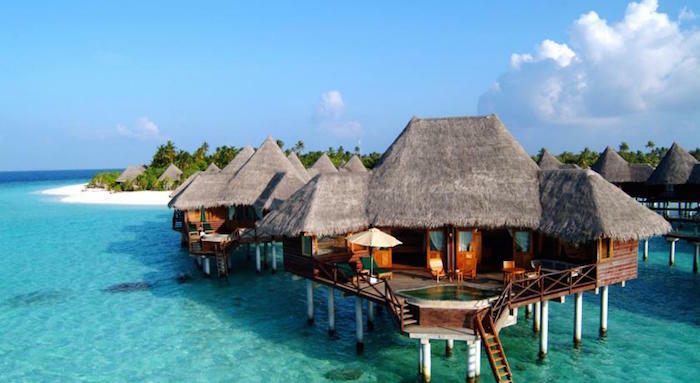 The cheap hotels in the Maldives can still offer you a pleasurable experience with an in-house breakfast, room services, and cheap island excursion packages! 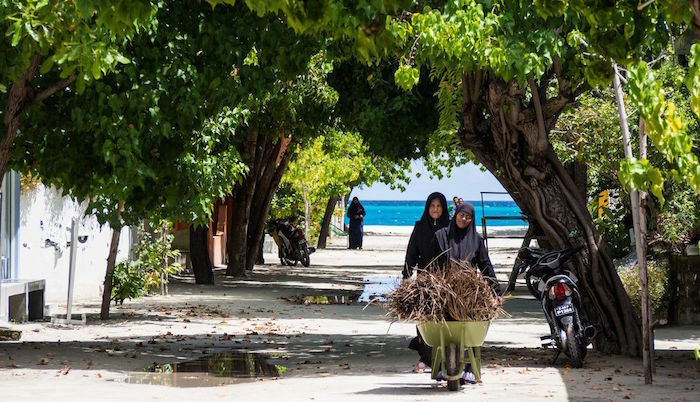 Since the Maldives is an Islamic country, you can easily find Halal food and mosques. Plus, there are also local Muslims that you can meet during your stay in one of these islands. It is the most famous local island in the Maldives. There are many affordable hotels for Muslim travellers here on the island. Plus, you can grab many cheap Maldives packages that include island hopping, snorkeling, and hotel deals. It is only 30-minute away by boat from the capital city, Malé. Another top local island in the Maldives that many travellers love to visit and stay at is Thulusdhoo Island. Are you a big fan of surfing? If yes, this is the best option for you. You can enjoy some of the best ocean waves here and grab bargained surfing deals at Thulusdhoo Island. If you would like to budget travel in the Maldives, then you can also choose to stay at Fulidhoo Island. 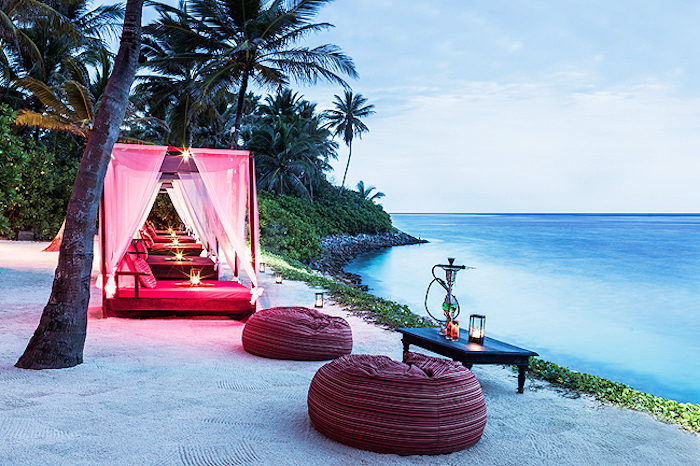 It is one of the best spots in the Maldives to enjoy a quiet and relaxing holiday. There are only about 200 locals on this island. Plus, it provides incredible snorkeling and scuba diving experience. You can see manta rays, sharks, and turtles here! Most of the local islands are very Muslim friendly. They have a strict “No Bikini” and “No Alcohol” rules! If you’d like to enjoy a pleasurable stay at a top hotel and enjoy a great bargained deal, then you should consider the Muslim friendly hotels that we recommend below! Public speedboats: To get around from the capital city, Malé, to your island destination, public speedboat offers the cheapest rate. You can check out the schedules to know what time it arrives or departs. 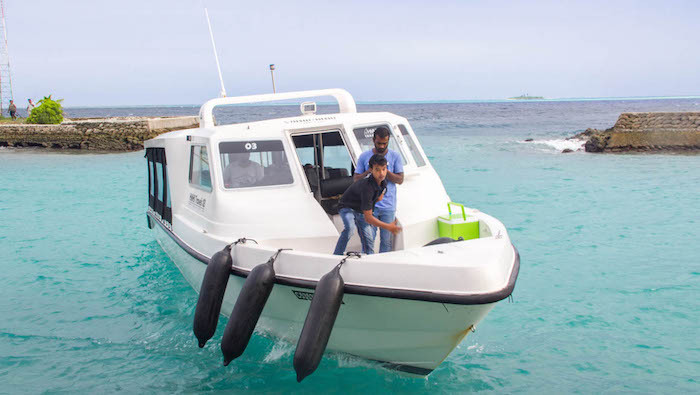 Local ferries: It is another cheap method that you can choose to get from Malé International Airport to your island hotel. It costs as low as $2 per journey. Domestic flights: If your island is too far away (for example Dhigurah Island that is 100km away from Malé), then you can opt to take the domestic flights. Get online deals to grab the best price for the ticket flights. If you’d like to enjoy a pleasurable stay at a top hotel and enjoy a great bargained deal, then you should consider these best-value hotels! Coco Bodu Hithi Resorts is a five-star hotel located on the North Male Atoll, or also known as Thulusdhoo Island. The speedboat ride will take about 40 minutes (airport shuttle is included in the hotel rate!). Here, you can enjoy a private pool, private beach, Halal breakfast, and fun island excursion packages offered by the hotel. It costs about $487 per night and for Genius on Booking.com, you’ll enjoy an additional 15% discount! Paradise Island Resort & Spa is another five-star hotel that offers great value for its luxurious hotel rooms. 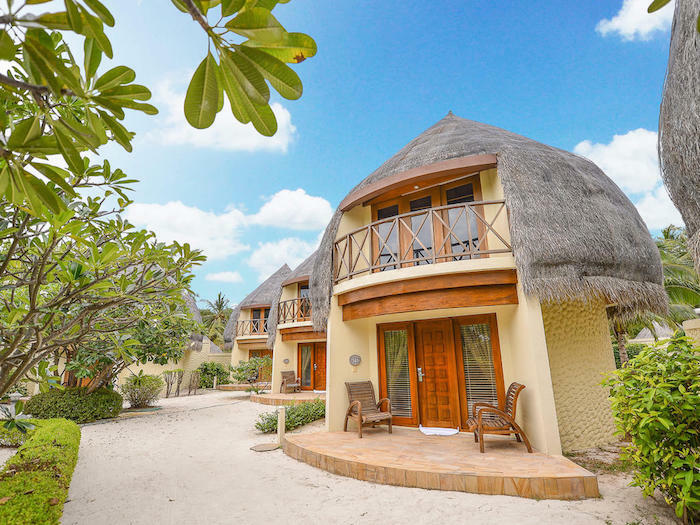 The resort provides private villas and bungalows that overlook the beautiful Indian Ocean. It takes about 20 minutes of speedboat ride to reach the resort. Airport shuttle is also provided for you. It is one of the hotels that offer cheap Maldives packages for Muslim travellers. If you are to stay here, you can enjoy a special rate as low as $181 per night and the rate includes a Halal breakfast. For Genius on Booking.com, there is a 10% discount available. Bandos Maldives is a four-star in the Maldives that offers one of the best-value hotel rates. Located in Kaafu Atoll (or Male City), the room price can be as low as $158 per night during its special promotions. If you are a Genius on Booking.com, you can grab the additional 15% discount for a lower room rate! Here, you can enjoy staying in a luxurious hotel room that comes with a private balcony that overlooks the beach and the ocean. It is also situated near to Male International Airport. The speedboat ride takes only 10 minutes. You can choose either to stay at the beach bungalow or water villa. It is located quite far from the capital city of Male as the plane ride takes about 45 minutes. However, it is a lovely and peaceful island that is ideal for Halal honeymoon vacation! Would you like to enjoy a stay at a tropical-style villa on a private island without having to break your bank account? Then, you should not miss the special promotion offered by Coco Palm Dhuni Kolhu. The five-star resort in Maldives offers an irresistible price for its luxurious hotel rooms at just $241 per night. The rate does not only include Halal breakfast but also dinner – a superb bargain! You can lower the price further if you are a Genius by getting its extra 15% discount! Luxurious holidays at an affordable price – Be smart & grab the deals above! Even though the Maldives has been marketed as a luxury island with expensive private resorts and hotels, you can still save your money when having a holiday in the Maldives. Grab the cheap Maldives packages for Muslim travellers above and enjoy a relaxing and fun Halal vacation on the island of Maldives!